Many businesses start off as sole proprietorships before the owners choose to create a separate entity for their business, like a corporation or limited liability company (LLC). A major motivation for these business owners in transforming their business into a separate entity is to gain limited liability protection. Corporation, S-corporation, limited liability companies (LLCs), and limited partnerships (for the limited partners only) provide limited liability protection to their owners. What protection limited liability provides exactly does vary from state to state, so for purposes of this discussion we will focus on California law. We recommend talking to a business attorney about limited liability as case law is constantly evolving. 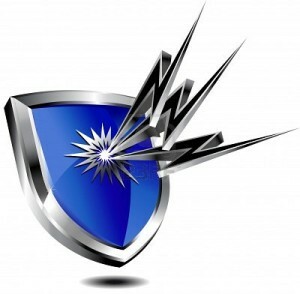 As the name implies, the legal protection offered is limited to certain types of liability. The first type of legal protection that limited liability provides is from personal liability for the entity’s debts. For example, Jason owns a corporation, ABC Inc. ABC Inc. borrowed $100,000 from XYZ Lending, but business has not been doing well and ABC Inc. is no longer able to make the required payments on its loan. XYZ Lending is able to sue ABC Inc. and potentially seize its assets to attempt to be repaid, but it is unable to recover anything from Jason personally. The other type of legal protection that limited liability provides is personal liability for the actions of co-owners or employees of the business. For example, Steven owns Delivery Inc., a successful package delivery corporation. Delivery Inc. employs several drivers. One day, one of Delivery Inc.’s drivers ran a red light while delivering packages and hit a pedestrian. The pedestrian sued Delivery Inc. for damages, but is unable to sue Steven personally. However, if Steven had run the business as a sole proprietor he could have been held personally liable for the actions of his employee and had his assets seized. However, even with limited liability protection you remain personally liability for your own actions. If you personally injure another person, for instance, then you are potentially liable regardless of whether your business has limited liability protection. As an aside, this is a reason to consider purchasing insurance regardless of whether your business has limited liability. Because limited liability protection can frustrate plaintiff’s attempts to collect damages, plaintiffs will often try to get around this liability shield by “piercing the corporate veil” (a legal concept that will be explained in the post). Whats up! I just would like to give a huge thumbs up for the nice information you might have right here on this post. I might be coming back to your blog for extra soon.